Hello Bronze Beauties, happy Tuesday! Stylish “Bronze Girl” Tiara from London shows that she is ready to transition into the fall season. She’s wearing a cute multi-print playsuit paired with suede ankle booties and a trendy trench in case the weather gets too cool. To top it all off, Tiara is sporting a natural and confident closely cropped fade, and very stylish eyewear. Go Tiara! 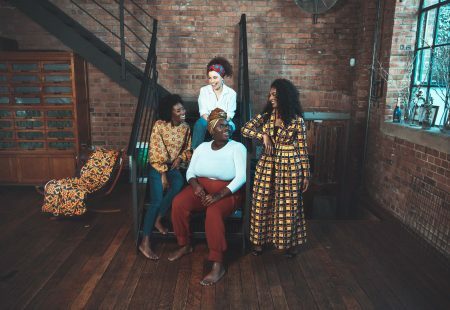 Our team has been doing a fabulous job at locating fashionable women around NYC!